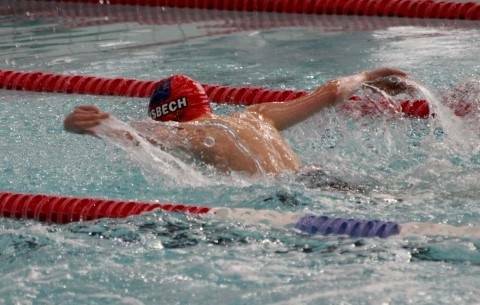 The weekend of 13-14 January saw the first four sessions of the 2018 Cambridgeshire County Championships at Whittlesey and 3rd Former, Ben Eden, swam in every session and his results were his most successful at competitive swimming yet! Prior to session one on Saturday, Ben’s best ever county result had been fourth in the 13-year age group 400m individual medley in 2017. This year, swimming as a 14-year old, he has exceeded all expectations! Ben is celebrating a fantastic result in the 200m butterfly taking gold and becoming the 2018 County Champion; Ben won his age group by a decisive 11 seconds. In the 400m individual medley, Ben gained third place, taking the bronze medal. All his times, except the 200m free, were new personal bests and it’s worth noting that most coaches and swimmers consider the 200 fly and 400 IM the toughest of the pool events. After these first four sessions, he’s ranked third in the county overall, but that will change with another three sessions to come.